The news that Instagram was bought out by Facebook wasn't really a shocking story, it was the price tag on the sale that had everyone confused. Now, we're getting more info on the way that deal came about and how the deal breaks down for Instagram. It looks like there's a possibility that the Instagram team may make out even better than we first expected. The original story was simple: Facebook bought Instagram for $1 billion. A new Wall Street Journal report is saying that the deal was put together and completed in just 3 days. Even more amazing, Mark Zuckerberg "negotiatied mostly on his own", and while he did tell the Facebook board, he didn't consult them. The board did ultimately vote on the deal, but it seems that it was essentially done at that point anyway. As far as the final number, it seems that Instagram founder Kevin Systrom had originally been asking $2 billion for the company, so he knew what he had was valuable. However, the ultimate $1 billion may end up being even more valuable because the New York Times has reported that the deal will end up being 30% cash, and 70% Facebook stock. That stock is actually said to be valued at over $75 billion, so when Facebook goes public, the Instagram team could make out a lot better than anyone expected at first. There is a question about how Facebook is intending to cover that stock, and will likely have to issue more stock to cover it all. Still, the Instagram team is making out huge with $300 million in cash to split and a ton of Facebook stock coming at just the right time to cash out even bigger. Probably one of the dumbest things Zuckerberg has ever done. Paying $1 billion for Instagram is like paying $200k on a Honda Civic. Um... What? Instagram for Android hit 1 million downloads under 24 hours after launch, and totaled more than five million downloads in six days. I see all my friends constantly using Instagram. In hindsight, it may not have been a GREAT move, but it was a good one at least. 1) How is it even profitable for Facebook to purchase Instagram? It would take a very, very long time for them to make enough off of it in advertising revenue to be worthwhile. We're talking YEARS. 2) Its pointless. Instagram already posts to Facebook as it is. 3) There are viable alternatives that would have costed a fraction of what this purchase entailed. The funny thing about social networking and business, the idea of having ROI's take time is a thing of the past. Zuck has eyeballs drawn to FB already. The next thing he wanted was data (pictures). For example, if "Tom" from myspace waited 6 more months for the sale to Rupert Murdock, the sale of about $566 million to a cool possible $1.2 billion. So in hind sight, he was getting in before the "economic s curve/bell curve" started shooting up for Instagrams value. Instagram is going to continue to keep growing and I expect it to hit more OS's out side of Android and iOS. Then again, I'm not an economist or a person who specializes in business acquisition. Would love to hear Bill Gates and Warren Buffets take on the matter. Quote:downphoenix "We're talking YEARS." When it comes to business, especially huge businesses, it's not uncommon for large investments to take some time to start paying off. Financial gain is paramount, but saturation and name recognition are also important in the long-run. 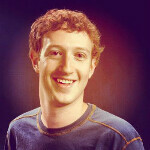 Granted, FB is a household name now, but this may open them up to other opportunities. how can you put a price tag on love? Users LOVE Instagram. No one loves Facebook. So, Zuck is trying to buy it. In addition to that, I think the point is to get the company while it's still cheap. Folks scoffed at Facebook back in the day and look at it now. Say whaaaatttt what a dumb move by Mr. Zuckerberg. OMG. I call a good move... Why? Because Instagram was going to pose a threat to Facebook. Just like Facebook did away with MySpace. If MySpace would have bought Facebook, they might have lived a little longer. This is business 101 to all the broke a$$ haters above...lol Zuck knows what he is doing... trying to keep facebook alive. instagram Devs are filthy stinky RICH$$$$$$ off of a basic sub par app... AMAZING! $1 Billion in cash and stock, with a 30/70 split, means $300 million in cash and $700 million worth of stock in Facebook. According to the WSJ article that was sourced, Zuckerburg was trying to argue to Instagram's CEO that FB could one day be worth $200 Billion, so 1% stock might suffice to cover Instagram's asking price of $2 Billion. When all is said and done, yes, Instagram may make out with a deal that values them a little above $1 Billion. But I don't see FB reaching that kind of valuation (Google status, btw), or even remaining at its current valuation for a sustained period of time. Either way, Instagram made out great considering they have no revenue. I think we can not judge if s.th that people has bought is reasonable or not. Some time it does not mean any thing to you but it means everything to other people as they need it to fill the missing piece that could help them to feel complete or gain a big fortune. My own example.. i need to run my own business and i put my business name as 010xpress... Then i contacted to local telco for this number 010 977 377 to use as customer hotline service. This number represents my company name. If you use feature phone to text my company name 010xpress you will see it as 010977377. You know what, telco already sold this number to anyone. So i have to contact to the owner to persuade him to sell it to me. Normally, with this kind of number, i should spend around 10$ or 20$ to get it. But with this circumstance, i ended up paying $500 to get it. I had no choice. So i had to get it..